A little project. Masking. The "undercoat" before basecoat and weathering. 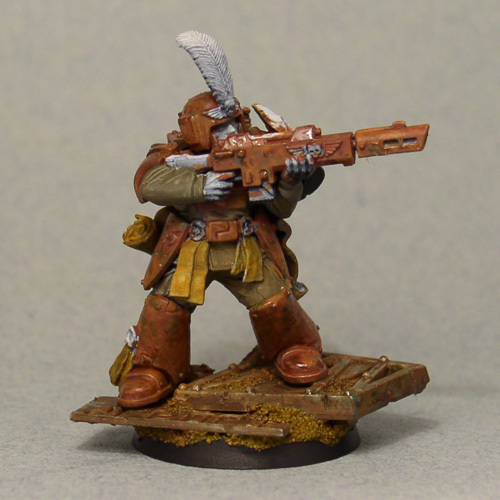 The orange-brown colour will show through from underneath the armour colour. Amour will be a light greenish grey, the industrial plates on the base will be something like codex grey.